Our family-run company was founded by my mom, who raised three children while working as a registered nurse, lactation consultant and certified nurse midwife. Driven by compassion, she created Mommy's Bliss to safely bring families back to wellness. Uses: Relieves the discomfort of infant gas frequently caused by air swallowing or certain formulas or foods. 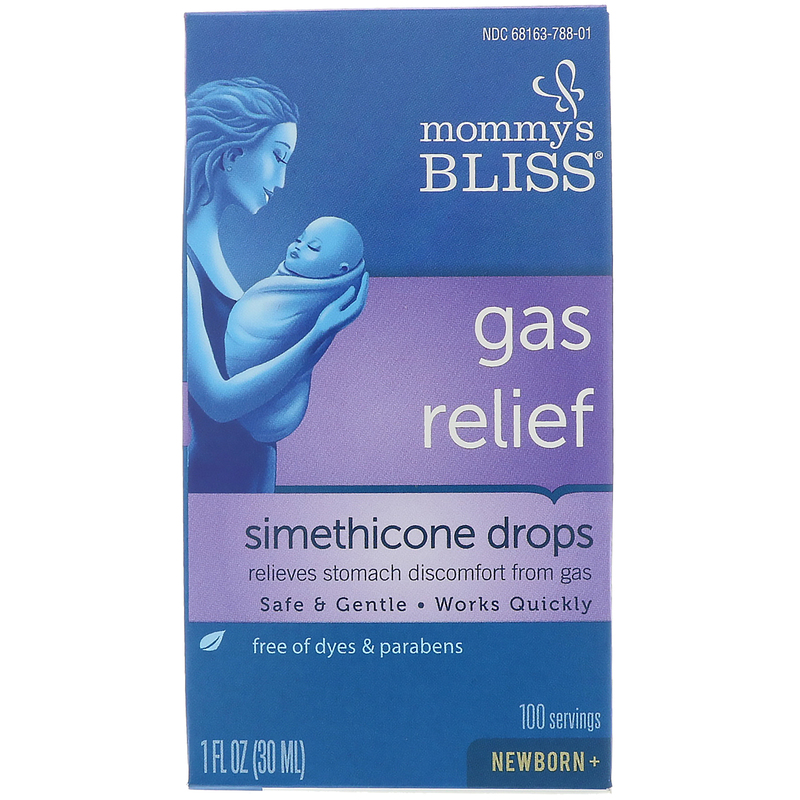 Mommy’s Bliss Gas Relief Drops are safe and effective for easing stomach discomfort caused by gas. 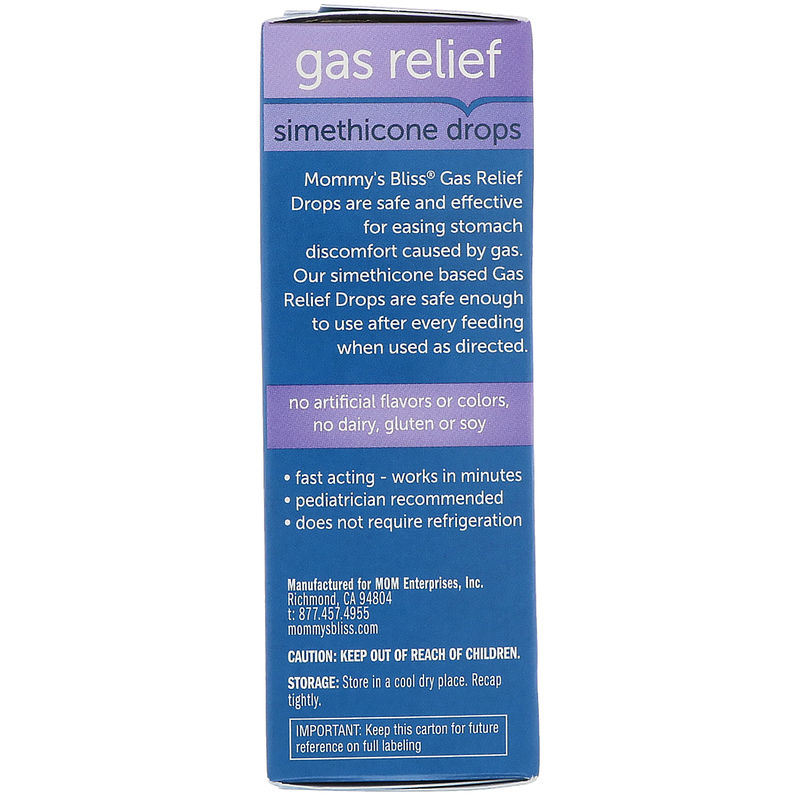 Our simethicone based Gas Relief Drops are safe enough to use after every feeding when used as directed. All dosages may be repeated as needed, after meals and at bedtime or as directed by a physician. Do not exceed 12 doses per day. Fill enclosed dropper to recommended dosage level and dispense liquid slowly into baby's mouth, toward the inner cheek. Dosage can also be mixed with 1 oz. cool water, infant formula or other suitable liquids. Clean dropper well after each use. 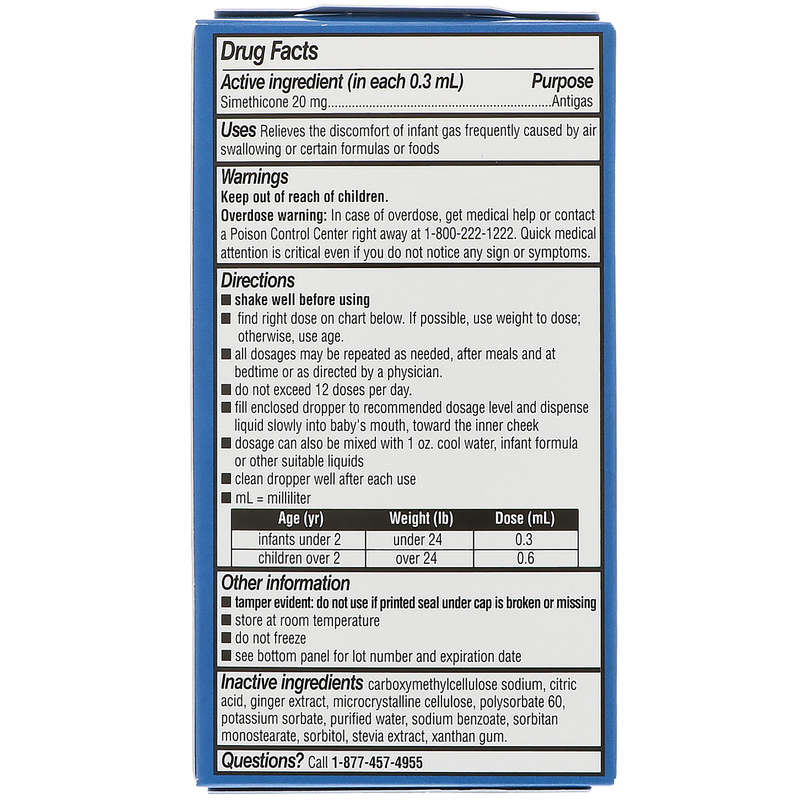 Inactive ingredients: Carboxymethylcellulose sodium, citric acid, ginger extract, microcrystalline cellulose, polysorbate 60, potassium sorbate, purified water, sodium benzoate, sorbitan monostearate, sorbitol, stevia extract, xanthan gum. 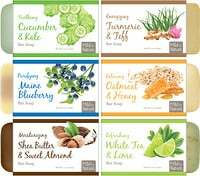 No artificial flavors or colors, no dairy, gluten or soy. Overdose warning: In case of overdose, get medical help or contact a Poison Control Center right away at 1-800-222-1222. Quick medical attention is critical even if you do not notice any sign or symptoms. Tamper evident: Do not use if printed seal under cap is broken or missing. Storage: Store in a cool dry place. Recap tightly.